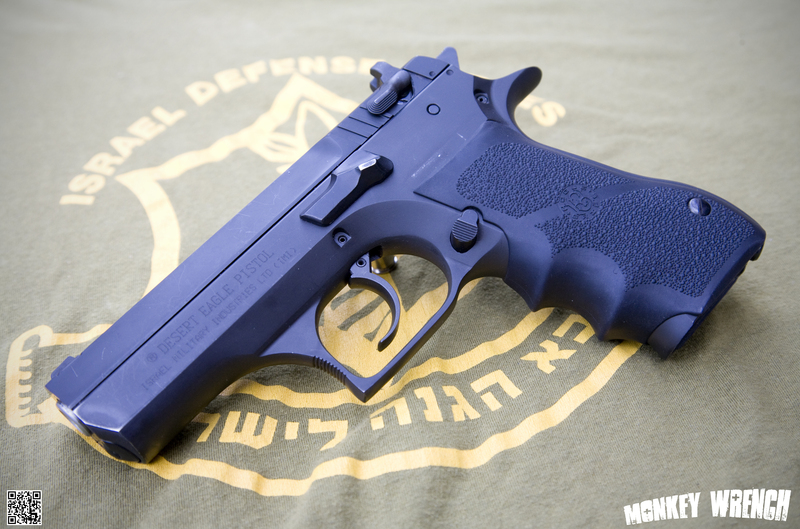 In 1990, Israeli Military Industries introduced the Jericho 941. 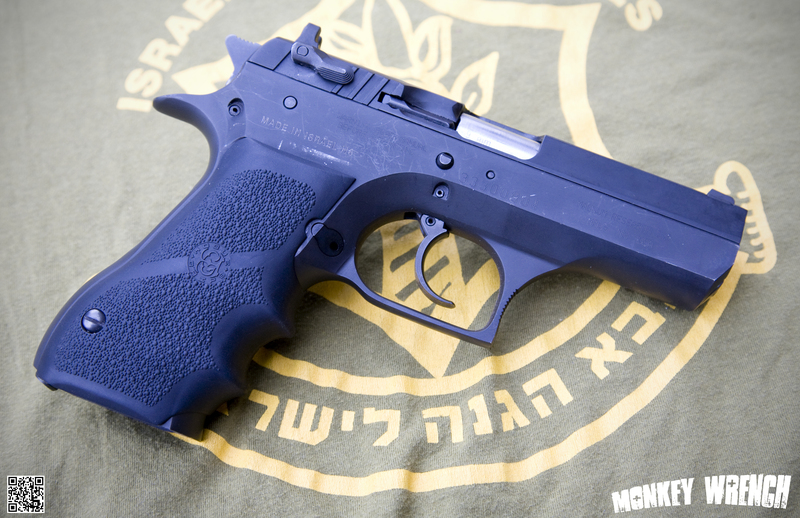 A design based on the very succesful CZ75, the pistols were assembled with components from the Italian contractor Tanfolio. The gun pictured here is the 9mm Sub-Compact model, using a shorter barrel in the full size frame. I carry this gun loaded with Hornady TAP 147 grain. The weight of the pistol when loaded is around 2.6 Lbs, taming recoil and making it easy to shoot. The grip angle and the palm swell in the back strap make for an overall very comfortable grip. The Hogue Wrap-around adds to that. The polygonal rifling in the barrel lengthens barrel life, and some say adds accuracy. I find the gun to be very accurate. Although the pistol looks very similar to the CZ75, it has a few differences. For one, the full size model is considerably heavier, it weighs 2.4 Lbs, compared to the 1.7 Lbs of the CZ75. Another major difference is the decocker/safety in the 941, compared to the CZ, which has a separate decocker.